The system of education known as the Montessori Method was developed by Dr. Maria Montessori as a result of years of research and observation of children and how they learn. Dr. Montessori concluded that between the ages of 0-6 years of age, a child possesses an amazing ability to absorb knowledge more quickly and effortlessly than later in life - the absorbent mind. Critical to understanding the learning capacity of a child is to understand the significance of sensitive periods for early learning. At key points in a young child’s life, he or she is intensely fascinated by or capable of learning specific skills more than in any other time in their life. Once these periods of learning pass, they may never return. This finding makes it necessary to expose children to learning as early as possible introducing them to new concepts and in the development of a curriculum suited to their personal interest, stage of development, physical, emotional and intellectual needs - the needs of the whole child. The Montessori method respects the unique qualities and personalities of each individual which dictates what they are ready to learn and when. Each Montessori classroom is equipped to accommodate the multiple levels of all of its students. Lessons are presented individually, in small or large groups only introduced when a child demonstrates the interest or readiness, at which time a child will instinctively select or willingly choose their work. In this way, the Montessori child is set up for success invariably promoting positive self esteem. Acknowledging that children possess an amazing ability to work for long spans of time, the daily schedule includes an uninterrupted work period which involves one or two 3-hour work cycles. Dr. Montessori’s research examined how children respond to their environment. The young child’s natural inclination to touch and experience their world in a tactile manner explains why the world famous Montessori apparatus has such fascinating appeal to a child. For each lesson to be taught there is an appropriate piece of apparatus which is made of natural substances such as wood - beautiful to the eye, and designed to entice the child to engage in learning through the senses. The progression of learning starting from a concrete level brilliantly assists children to grasp concepts through their own active rather than a passive effort. Once each concept is understood, the child makes the seamless transition to an abstract level of learning. Creating a learning environment that provides constant challenge for the child is addressed through the multi age groupings in each Montessori classroom. Children are grouped in mixed ages and abilities enabling them to learn from each other by engaging in a mentoring process which serves to ignite curiousity. The goal of Montessori education is to help the child become independent. The classroom activity aims at providing opportunities for the child to do things for himself such as dress themselves and to choose their own work. Given the opportunity, a young child will proclaim “I can do it” and as a result of their own effort will benefit from an increase in self esteem and confidence inspiring further achievement. Understanding that all children will instinctively be motivated to learn and explore if the setting is appropriately designed and equipped to accommodate their individual interests and abilities, the Montessori classroom is known as the prepared environment. It is designed with child sized furniture to facilitate the child’s independence and freedom of movement. To address the notion that children are naturally drawn to work and not play, Montessori activities include practical life tasks such as those one would do in a kitchen, baking real food, cleaning actual furniture, washing windows etc. and become part of the young child’s daily work activity. The pride resulting from real work motivates the child toward greater achievement and a sense of accomplishment. 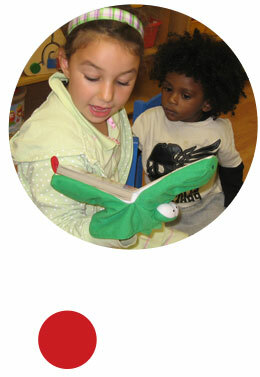 The curriculum is divided into five categories: practical life, sensorial, language, math and culture. Each lesson is presented to a child in such a manner that it caters to his or her natural inclination toward order and organization. Children learn to organize and tidy their workspace which develops their sense of responsibility while promoting respect for one’s environment through cleanliness. The Montessori Method provides children with the opportunity, environment and encouragement to thrive as they enjoy the satisfaction of their own efforts. Whether the accomplishment is tying their own shoelace or reading a book, the Montessori method provides each child with the promise and possibility to fulfill their own potential.